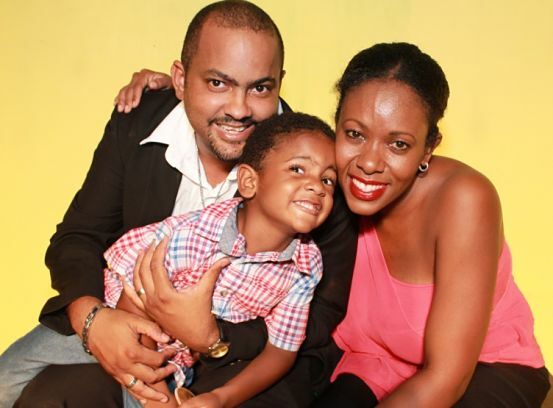 WE ARE FAMILY: Cover star David Tulloch bonding on set with the wife (Karla) and kid (Joshua). THE end of the year is the perfect time for quiet reflection and mapping out a game plan for the road ahead. This December issue is dedicated to that kind of positive thinking – and paying tribute to those Jamaicans (and those moments) who intrigued us. David Tulloch is at the top of our list of outstanding people in the arts who stayed consistent, producing excellent work and inspiring their peers along the way. But, as you will learn from reading “Running the Show”, David is a special case. In spite of the tough challenges he faced in his personal and professional lives – including serious health-related challenges – the equally devoted artist and family man stayed on course and tapped into his energy reserves to power his way through. He clearly knows how to deal with adversity. And we look forward to the future chapters of his continued and evolving success that we will no doubt be chronicling in the archives of TALLAWAH for years to come. There was no shortage of lessons to be gleaned from the top headline stories of 2017. For instance, who didn’t have something to say about Raymond Watson’s Marcus Garvey sculpture that ignited a firestorm of criticism that rippled throughout the island and the Diaspora – the biggest controversy the local art world has had in years? 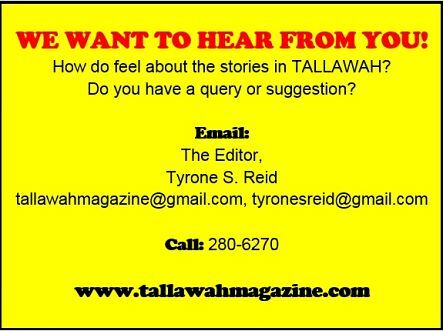 Efforts to contact Mr. Watson for his take on the debacle proved futile up to recently, but as his peers concede in “Out in the Open,” public opinion is anything but predictable. Very often it bares teeth and a vicious bite. But I’m sure you will agree with the names we’ve assembled for “12 for ’17,” a compilation of the most fascinating/intriguing Jamaicans of the year. Arriving at the final cut was no easy feat – many personalities we wanted to include had to be omitted, so as to present a well-balanced and comprehensive list reflecting the broad range of Jamaican society. We hope you, too, are inspired and intrigued by the choices. As ever, the close of the year brings the sense of an ending. But with great anticipation of what the New Year has in store comes the joyful reminder that, armed with feasible ‘resolutions’, you can always begin again.